The SStac Facebook page gets a lot of questions about stripping and cleaning the AR-15 rifle. There are a lot more parts involved than your average bolt action deer rifle, and the last thing you want to do is take your AR apart and have no idea how to get it back together. Not to mention, this is a rifle system which has to be installed properly for proper function. So let's jump into a brief discussion about field stripping and cleaning, and later in the week I'll have a full length video detailing the process. 1. Separate the upper and lower receiver by opening the take-down pins. There are two take-down pins, both round, one just behind the safety selector and one at the very front of the lower receiver. You can see in the picture above that the rear take-down pin has been opened and the upper receiver shotgunned upward. The front take-down pin is still in place. You open these by pushing the left to right through the lower receiver. If they are difficult to push by hand, try using a 5.56 round to get them started. 2. Remove the bolt carrier group and charging handle from the upper receiver. These both slide to the rear of the upper receiver when they are removed for cleaning. Initially, pull them both together by hand, and then when the charging handle catches at the back of the receiver, take just the bolt carrier group out. Then the charging handle will fall out of its slot and come out. The charging handle rides in grooves inside the upper receiver and has tabs on either side that capture it inside the grooves. You have to align the tabs in a small area of "slots" to remove it from the upper receiver. Keep an eye on this the first time you remove these parts. It took me a while to figure this out my first time! Drop the charging handle tabs out of these small slots in the center of this photo. Remove the small firing pin retainer first from the left side of the BCG. You'll need a 5.56 round or roll pin/small object to get the pin started but it slides out very easily. Once the retaining pin is out, the firing pin slides right out to the rear and falls out of the BCG. Rotate the cam pin 90 degrees so that it will slide up and out past the carrier key. 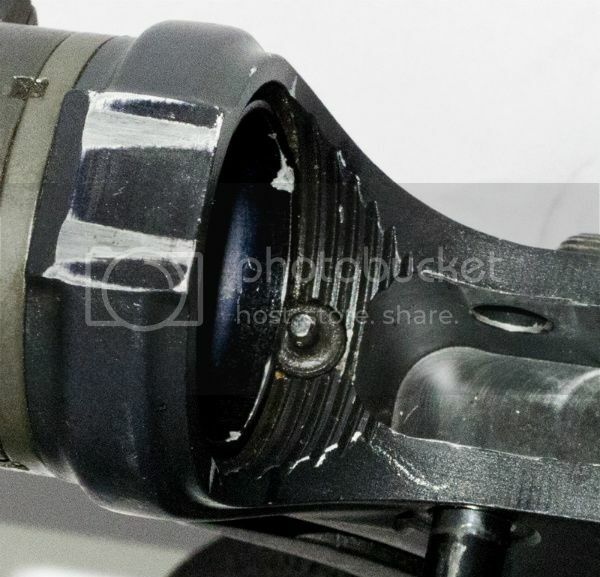 The bolt also has to be pushed all the way back into the carrier in order to remove the cam pin. This is the confusing part the first time you do it. After the cam pin is removed, then slide the bolt right out of the front of the carrier. You're done. 4. Optional: Remove the buffer and buffer spring from the receiver extension. I do not perform this step every time I clean my rifle. But you should know how to do it for occasional cleaning and in case you ever replace any of the parts in your buffer assembly. Buffer retaining pin. Depress this pin to remove the buffer. Use a roll pin punch, 5.56 round, or other small knife/object to depress the buffer retaining pin (shown above). This will release the buffer from the buffer tube enough that you can grab it by hand and pull it out. When you do, the buffer spring will release tension and either pop out completely or more likely part of the way. Just pull the rest of the spring out. CAUTION: You should use goggles/glasses while doing this part especially, as the buffer retaining spring and the buffer spring are under tension and can pop out unexpectedly. My buffer retaining pin has popped out of my rifle so many times I can't count. Be careful when you do this. This is really all that is involved in field stripping the AR-15 for cleaning. Part 2 of this post will be a step-by-step cleaning of the AR-15 including what you'll need to get the job done.